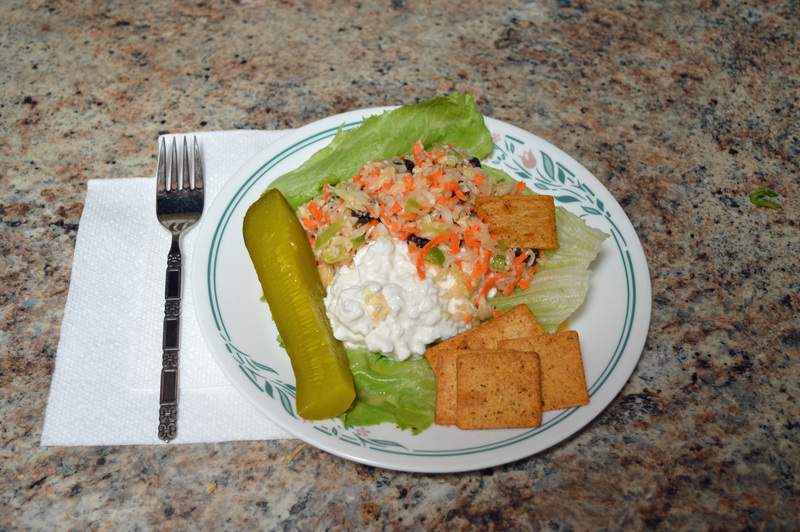 This is, as far as I know, my original recipe although I found another Cole slaw recipe with raisins, it wasn’t the same as mine. ½ cup white vinegar (Add as Last Ingredient, add/taste, add/ taste etc., to adjust to your taste) I’ve also used apple cider for a little more punch. I just whisk this together and mix into the salad ingredients. This recipe is best if refrigerated at least 12 hours. Serve over a good scoop of small curd cottage cheese. It makes a great lunch all by itself and continues to taste better every day for a couple of days because the vinegar works on the cabbage.